Thirty years on from their 1987 FA Cup win at Wembley, Coventry City returned to the national stadium to take on Oxford United in the Checkatrade Trophy Final. Coventry’s own George Thomas had admitted in the build up he’d dreamed about scoring the winner at Wembley for The Sky Blues and in the 55th minute, Thomas did just that. 30 years. Two relegations. No top six finishes in any league, but finally a moment worth celebrating as Coventry City walked back up the famous Wembley steps and lifted the cup after defeating Oxford 2-1. 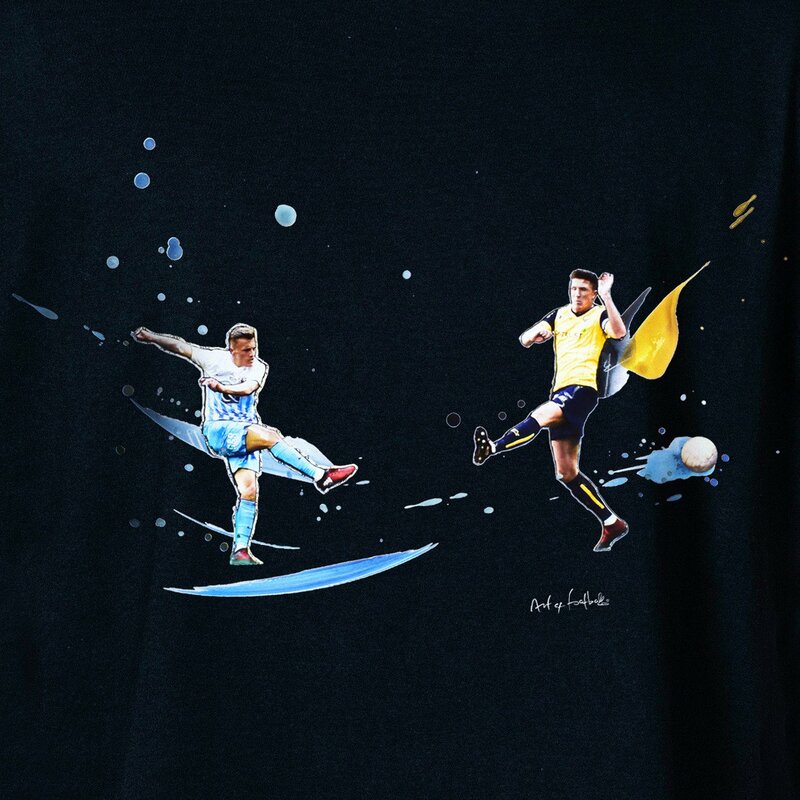 Now, our partners Art of Football have encapsulated the moment George Thomas won it for The Sky Blues with a shirt, available alongside their 1987 Keith Houchen design, and we have one to give away to one lucky Sky Blues fan. All you have to do is head to our Twitter feed (@ccfctv) follow us and retweet the pinned tweet on our page before 9pm this evening to enter the draw. Good luck!